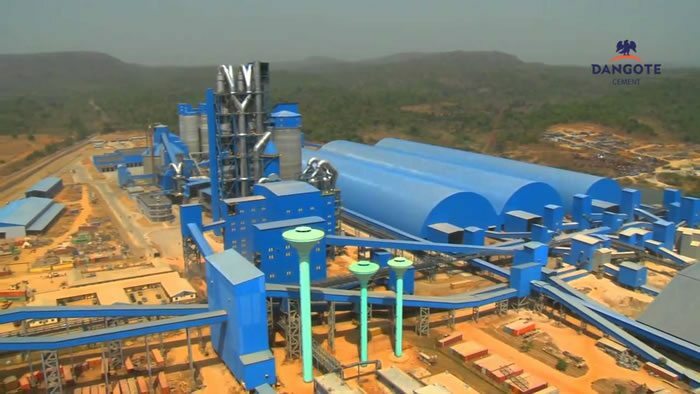 Dangote Cement Plc has promised to increase its production from the present 20 million metric tons to 29 million by August this year in response to the increasing demand for cement in Nigeria and the need to make the commodity available. Ekanem Etim director Dangote cement said the company was not unmindful of the massive demand for the commodity by end users hence the need to increase output. Etim said Dangote cement, which came to being in 2007, has endeavored over the years to make its impact felt in the construction industry and have decided to add another nine million metric tons to meet the demand of the commodity. He noted that it was wrong that some cement manufacturers are still producing 32.5 grade cement adding that this is against the policy of the Standards Organisation of Nigeria. He noted that Dangote is not prepared to lower the standard. Etim has urged SON to implement the 42.5 grade since all the existing cement producing companies have the capacity to switch over. Ekanem added that the 32.5 grade of cement is mainly meant for plastering, while the 42.5 grade is meant for general; purpose, pointing out, that the 52.5 cement grade is essential for the construction of bridges, dams. The Anti-Corruption Network has also called on the Federal Government to bar the use of 32.5 grade cement. According to Secretary of the group and former member of the House of Representatives, Dino Melaye, the 32.5 cement grade does not give much strength in construction like the 42.5 grade, insisting that this recommendation will save Nigerians from further building collapse and loss of lives and property. The Nigerian cement industry grew by 95.6 % between 2005 and 2012. Cement demand increased 7.0% Year-over-Year (YoY) to an estimated 18.3 million tons in 2012. Out of the total demand of 18.3 million tons, domestic production accounted for 89.6 % and the remaining 10.4 % was met through imports. Government at both the federation and at the state levels has remained the largest consumer of cement in Nigeria. The trend is expected to continue as the capital expenditure of the government surges, the demand for cement is expected to see an increase. Moreover, recurring governmental expenditure which is utilized for the maintenance of roads and other physical infrastructure also adds to the increase in demand in cement.